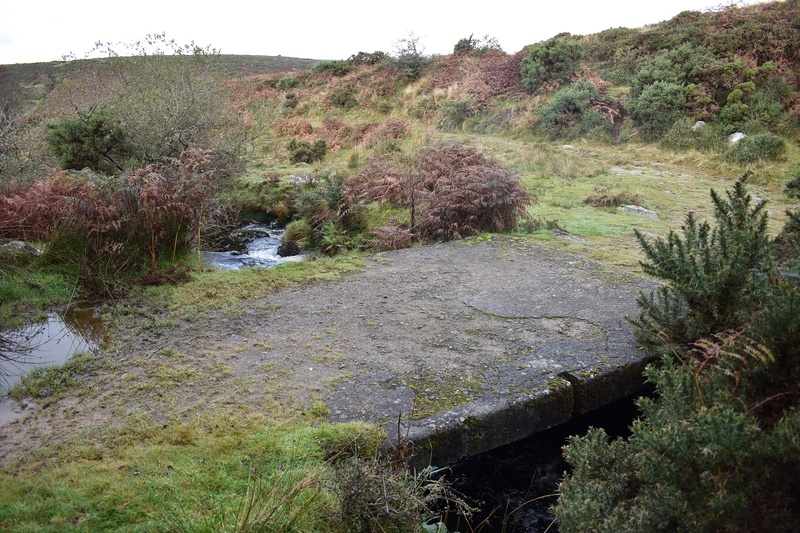 This is a small concrete slab bridge across the Doetor Brook between Doe Tor and Brat Tor. 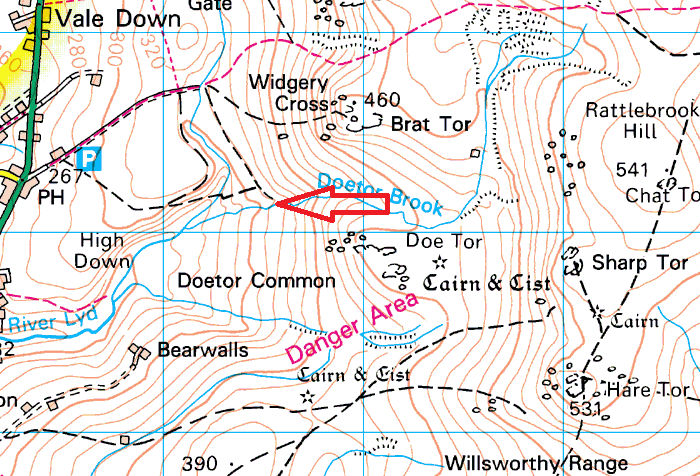 A well used path crosses the brook at this point which resulted in the need for a bridge. 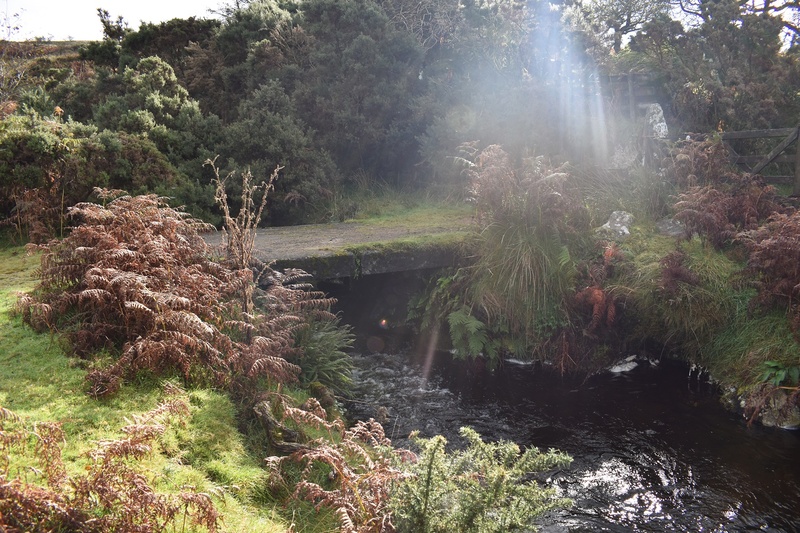 This bridge is hidden in a fair bit of vegetation with gorse all around. 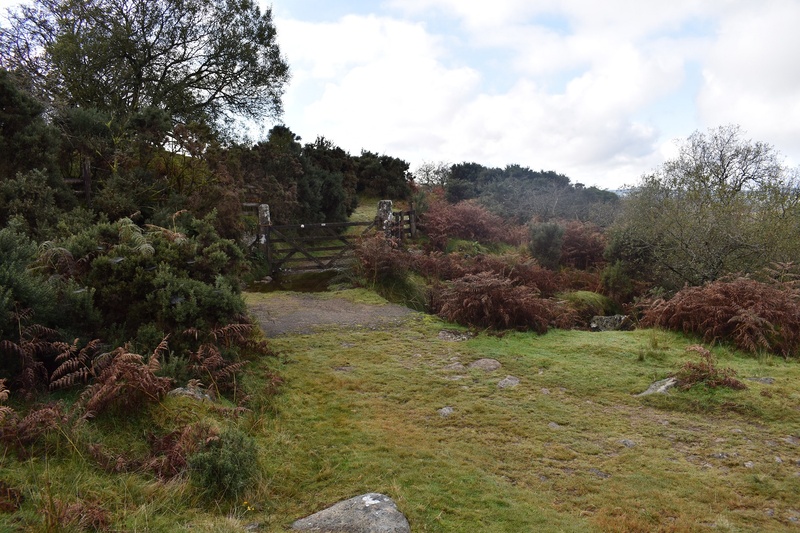 You will use this bridge if you head to Doe Tor from Lyd steps.